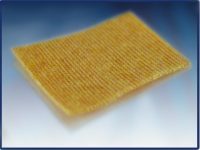 eXsorb Ag Pad is Individually packed primary wound dressings made of blend of superabsorbent acrylic fibers and viscose fibers, thermally laminated to a antimicrobial silver containing low adherent PE net. 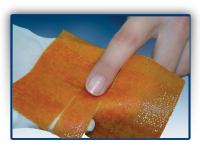 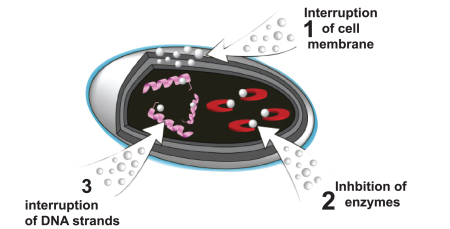 The pad can quickly absorb wound exudates and form a gel. 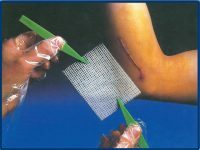 Exudates are locked inside the dressing away from wound and surrounding skin, this prevents maceration and retains a humid surface environment to facilitate wound healing. 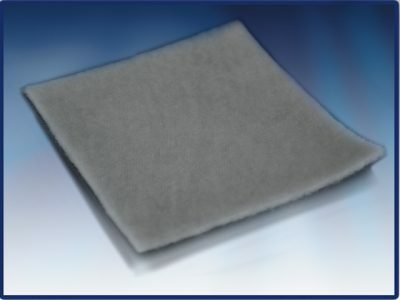 Antimicrobial highly absorbent silver wound pad ideal for heavily exuding acute and chronic wounds e.g leg ulcers, pressure areas, donor sites, and most other granulating wounds; also used as a pressure pad to stop bleeding. 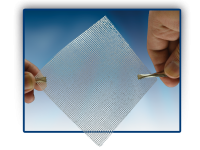 Select eXsorb Ag Pad size around 2 cm larger than the area of the wound.